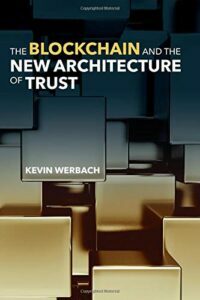 Wharton's Kevin Werbach provides an in-depth explanation of the blockchain, as presented in his new book. Completely agree that “trustless” in this context is inaccurate. But I’m sorry to see this smart technical investigation muddied by the conflation of computational trust (a term of art) and cognitive trust (the stuff we humans do). The former is algorithmic and statistical, desirable for managing risk and speeding transactions but wholly inadequate to describe the complexity of the human trust experience. What results on the human side is better described as reliability. The implication that a new architecture of computational trust also equates to an increase in human trust makes good headlines. But it leaves us with a diminished horizon for what trust is and does for us as human beings.